There are several books on the market that offer a selection of Bible verses to memorize. 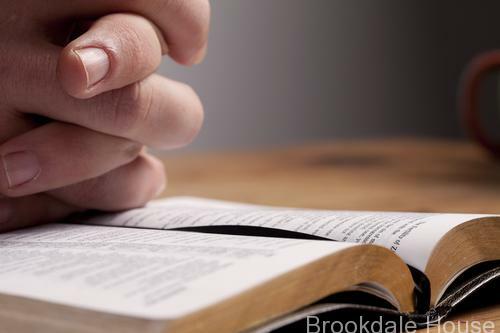 Often, the verses to memorize are taken from different books of the Bible, covering a wide variety of topics and coming from Scripture set in different contexts. While those books are wonderful, we believe that is important to memorize Scripture in the manner in which it was given to us. Our Scripture memorization system presents a new and innovative method to memorize related, successive Bible verses quickly and easily. We believe that the Book of Galatians is excellent for Scripture memorization. In the Book of Galatians Paul explains to Christians the freedoms we have in Christ, and the grace God has given to us, making clear that there is no other Gospel than that given to us by Christ whereby we may be saved. Selections from the Book of Psalms provide us with Psalms for praying when we desire to praise our Heavenly Father, when we need to lament of our sins, when we need to worshiping and extol God for His goodness, and when we need to remember that we need to trust God during times of trials. These psalms are selections that speak to our heart and soul, giving us comfort and peace during many varied circumstances of life. Another excellent selection of Bible verses to memorize are those spoken by Jesus Christ in “The Sermon on the Mount.” The message in “The Sermon on the Mount” has changed the way people look at life. Jesus taught what it means to love our fellow man, to forgive others who have wronged us, and to be like our Heavenly Father. These words from Jesus Christ our Savior give us guidance in our day to day life, teaching us how to be like Him. In the Book of Philippians, we learn from the letter of Paul to the Philippians what it means to be obedient, how to choose wisely what we focus our attentions on, and how to be content in various circumstances. We had to add Philippians to our selection. With this Bible Memorization Made Easy series you no longer worry about how you are going to enable your student to memorize Scripture.